Remember the disaster that was the Batman: Arkham Knight launch on PC? Gamers who attempted to play the title when it was originally released on June 23rd found a litany of bugs and performance issues, causing publisher WB Games to suspend sales of the PC version a day later. Come September, developer Rocksteady Studios released an interim patch that reportedly addressed many of the issues with the game, while also introducing new graphics settings and support for multi-GPU systems. The game wasn't put back on sale at that point, but it was the start of WB Games' attempts at repairing the disastrous launch. Over the weekend, WB Games announced that Arkham Knight would be re-released on PC this week: on October 28th at 10am PDT, to be precise. Alongside the re-release, a major patch will be launched that "brings the PC version fully up-to-date with content that has been released for console (with the exception of console exclusives)." If you have the Arkham Knight season pass, the patch will bring a whole ton of new story missions, as well as new skins and tracks for the batmobile. For standard owners of the game, the new content includes a Photo Mode and some other minor features. 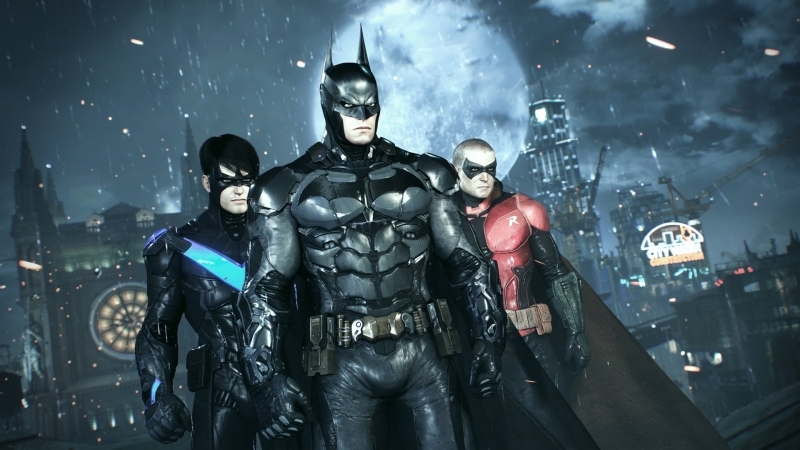 It's not clear how much WB Games will be charging gamers for Batman: Arkham Knight when it returns to retailers such as Steam, but considering the nature of game publishers, expect to pay full price (at least initially).